What is a calling? Most of us would say our “calling” is the thing that we feel so drawn to that we couldn’t put it down or walk away from it even if we tried. It’s the thing that gets us out of bed in the morning and keeps us going even when the crap hits the fan. We consider our calling noble and grand because it’s a good thing. Our calling is most often what sets us apart from our peers. Or so that seems to be our perception. I wonder about missionaries around the world who, yes, are doing a very noble thing seeking to reach the world for Christ, but their lives? Anything but grand: undesirable living conditions, hate from those they are trying to reach, miles and miles from their loved ones, and spiritual warfare like we can’t imagine. What about the ones in our own country who have left the comforts of “home” and moved to one of the biggest cities in our nation for the sole purpose of ministering to those experiencing homelessness? Anything but grand. Leaving family behind, comforts behind, steady jobs behind–simply to follow their calling. The family who answers the call to adopt, but adoption isn’t easy. In fact, it’s down right hard much of the time. When those parents reach out for help or just to seek encouragement, the response they get is sometimes, “Well, you got yourself into that.” So not only have they moved out of their comfort zone to parent children, they are further isolated from friends and family who don’t understand their call. In studying the Old Testament, I’ve noticed a few things I hadn’t ever noticed before. 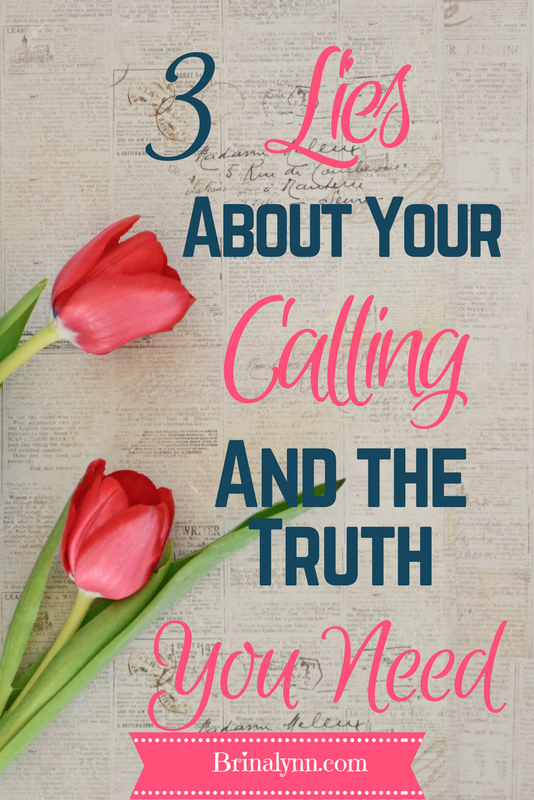 There are three lies we often fall into where our calling is concerned. When God calls you, everything will be smooth. If it’s not working out smoothly, you missed His call. False! It’s true; there is a certain peace that comes with accepting a call on your life, but everything will most certainly not be easy or smooth. In fact, it’s probably going to take you through a very difficult times of testing and trial. When we are seeking to follow God and trust Him in all things, the enemy is not happy. You can’t question God when the going gets tough. I was taught all my life not to question God. I think about my children and how often they ask why. They ask why when they are happy, sad, mad, or confused. It’s not always because they are angry. They simply want to understand. 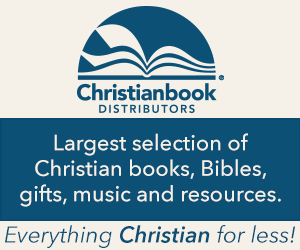 The Word likens believers to little children who can go to a loving Father for all their needs. Surely that includes the desire to understand why. We serve a BIG God. I promise you–He can handle your why! Job also questioned, asking God why he didn’t die at birth and why was he not stillborn (Job 3:11,16). Job had certainly done nothing wrong, was living in accordance with God’s will, and was a true man of faith. But he asked why. After a while, God did put Job in his place, but He allowed Job to ask the taboo question for believers. In the end, because Job truly sought the Lord, his was comforted and finally restored. You’ll never doubt your call. I think this is one of the biggest lies about your calling. There are two calls on my life that know without a doubt are 1) homeschooling our kids and 2) trusting God with our family size. Both of these calls are difficult, and I often doubt. However, I know when I think back to the day He spoke to me concerning these things, I know I’m in the right place even when it’s hard. And lest you think that you are alone in your doubting, I promise you are in good company. Abraham, Moses, Esther, Mary, and David–just to name a few–doubted whether or not they heard their call correctly or if they were worthy enough to fulfill it. I even tossed a math book across the table after everyone had left me there. I didn’t feel at peace. It wasn’t going smoothly, and the last thing I wanted to do was teach these kids another day. I wanted to run and cry! But the truth is this: I am called to homeschool my kids. It will be hard, and I will doubt. But I know He called me to this, and for the life of me I can’t line them all up and march them down to the schoolhouse! Even when it’s tough, God will supply all your needs. It’s going to be hard. Life is just hard, but when you are being obedient to what the Lord would have you do, the enemy is going to come at you all the more. Stand fast. Lean into Jesus. Trust His plan. Remember, He already knows your heart, so you might as well be honest with Him. I once read a statement that read something like this: If you don’t tell him how you feel, you’re lying to Him because He already knows anyway. Feel free to be honest with God! You will doubt. You’ll forget that He called, but you’ll have to go back to the place — to your burning bush, your moment in the graveyard, your surrender moment. If you’ll go back to that place, the Holy Spirit will remind you of your call and assure you that you are in the right place. He’ll bring peace even in chaos and hope for tomorrow. Great post, Brina. Life does get difficult at times but God’s calling doesn’t evaporate. My calling, back in 1981, wa yo teach, which I am still doing. The audience has changed but not the calling. And, God gives us periods of rest and refreshing from time to time. For those, I am thankful for. Keep on walking with Him!